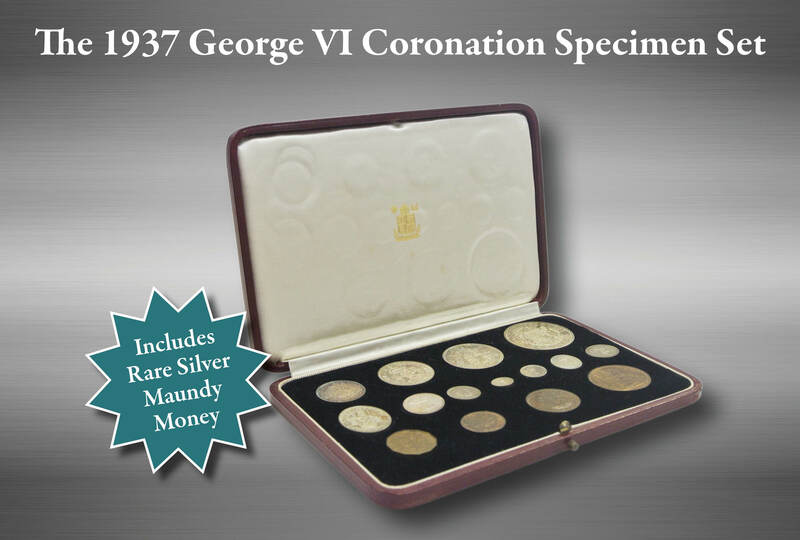 The complete set of original coinage struck for King George VI. 15 coins issued for the new monarch in his coronation year, 1937. Presented in their original display case.